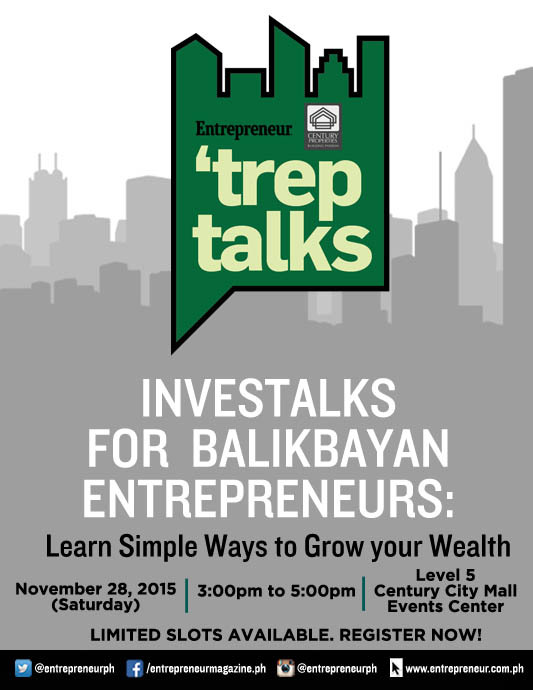 Are you a balikbayan looking to sweeten your homecoming by starting a business? This November, we have two events lined-up to help aspiring entrepreneurs build a startup from the ground up. Don't miss this chance to discover strategies to improve your skills and knowledge in entrepreneurship and investments. Also get to talk business with the country’s subject matter experts, hear inspiring success stories of former overseas Filipino workers who are now successful entrepreneurs, and start building an invaluable network. Join us on November 24 and 28 to learn the basics of building a startup, and leave armed and ready to start your business. Register for both events by accomplishing the forms below. 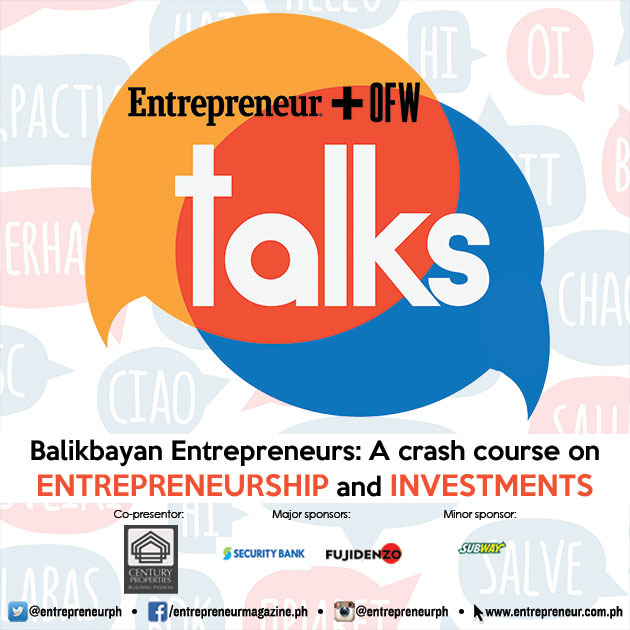 Bring a copy or show us your digital version of Entrepreneur’s November 2015 issue to attend Entrepreneur Talks for FREE! Entrepreneur Talks 3: Shift from working overseas to building your own startup business!